In today’s world where users have multiple devices hooked up to a WiFi network, it is important to have a strong connection. If your Netflix is constantly buffering, songs take a long time to download or your Apex Legends game is lagging, you may have a connection issue. 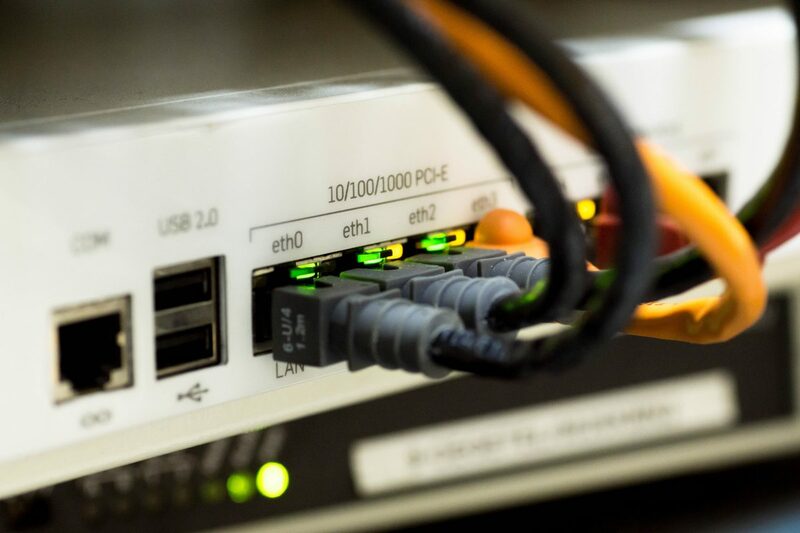 Before you call your Internet Service Provider (ISP), there are some things you can try at home which could avoid a long and frustrating phone call and get you back up and running faster. This is the quickest and easiest thing to start the troubleshooting process. If you’re on your computer, try your smartphone or tablet. If the connection is working good on those devices, then it is likely related to your computer. To check your computer’s connection, go into your network settings to troubleshoot the connection. If the issue persists on multiple devices it is going to most likely be a WiFi issue. If you try another site and the connection seems good, it might be related to the site that you are using. All websites can experience outages. A few weeks ago Facebook experienced a massive outage. If you feel like the Internet is slow, test your speed. SpeedTest is a free online utility that will measure your download and upload speeds. Once you have your current Internet speeds, check your bill. It will tell you the amount of Internet speed you’re paying for. If the speed listed is similar to your download speed, but you still think it’s slow, you may need to upgrade your Internet package. Sometimes, viruses or malware can impact your Internet speeds or overall Internet connectivity. If you have a paid anti-virus subscription or program installed on your computer, run a scan to make sure there is nothing there. If you run a Windows machine, Windows 10 has Windows Defender built in which is an anti-virus program. There are also several free utilities out on market like Malwarebytes that work great as well. Who Else Is On The Network? Another indication of needing a bigger Internet package is if you have several devices on the network. They all can be fighting for bandwidth causing slowdowns for everyone. If you don’t have a lot of devices check your task manager to see if there is an app or program hogging your bandwidth. 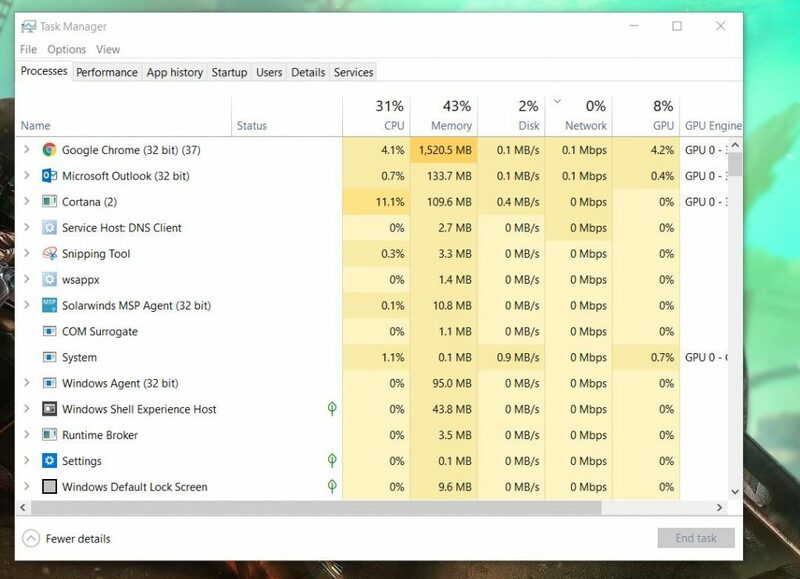 For Windows press Ctrl+Shift+Esc to open Task Manager, click on the Network section to see what apps are using your network speed. In case you are on a Mac, press Command+Space to open Spotlight, type Activity Monitor and find the network tab. If you find an app is using more bandwidth you can close it out. If you’re downloading a big file or movie, you may have to wait until it is finished. WiFi signals can also impact your overall Internet speed. If you connect your computer directly into the router with an ethernet cable and the speed picks up, you likely have a WiFi signal issue. If you are on the opposite side of your house than your router, your signal may be weak. Try purchasing a WiFi booster or extender. This can help your WiFi coverage stay strong throughout your home. If you have a booster and are still having issues, you may want to try a mesh network. For more information about mesh networks, check out our post on them. Your router and modem will have a series of LED lights on them that will indicate the status of several things. If none are lit up, check to make sure it’s getting power. Pull up the user manual and see what lights should be on or flashing. If your modem is getting Internet but the router is not, check your connections. If neither have a signal it could be a hardware problem. Unplug your devices and leave them off for about a minute. Then plug in your modem and then your router. Give each a few minutes to boot back up and see if the connection problem has been resolved. Sometimes, they need to be rebooted and they will start working fine. If this does not solve the problem, you may want to consider resetting your equipment to factory settings. For most routers, this process is completed by pushing a small button in the back until all the lights start flashing. Check your user manual for more information on resetting your equipment. The firmware, software in your router and modem, is what allows it to run. Most manufacturers will provide firmware updates that are downloadable. These updates can address performance issues, increase speed or add new features. Always make sure you are downloading the firmware from the manufacturer’s website and not from a third-party site. If you have an older 802.11b or 802.11g router you may want to get a newer one, especially if you have multiple devices on your network. A good option is a dual band router. This will give you two frequencies to connect to, allowing more devices on the network with fewer slowdowns. Newer routers have more control over the connection, allowing you to use features that throttle control or device priority. If you are using the equipment your ISP provided you may want to consider getting your own. Check to make sure the cable outlet is connected securely. If you are using a cable splitter check those connections as well. If you know where your cable connection comes into your house you may also want to make sure that no wires are cut, rusted or chewed through. Also, check to see if you have any construction going on in the area. Sometimes cable lines can be cut while excavating that can cause neighborhood-wide outages. If none of the steps above solve your problems, the next step is to call your ISP. They may be able to fix the issue remotely or have a technician come out to your home to further troubleshoot the problem. It is possible that the problem is on their end. If you have already tried contacting your ISP and did not get a resolution, call Computer Warriors. We have onsite technicians who can come out and do full network assessments to see what can be done to improve your wireless signals.